Waiting for the G train at Metropolitan and Grand sts. | Hipsters and Hassids: The painting series. The phenomenon. Waiting for the G train at Metropolitan and Grand sts. The rhythm and harmonica is reminicent of Bob Dylan. A young man tosses the musician a coin. his contemporaries clap when the song finishes. 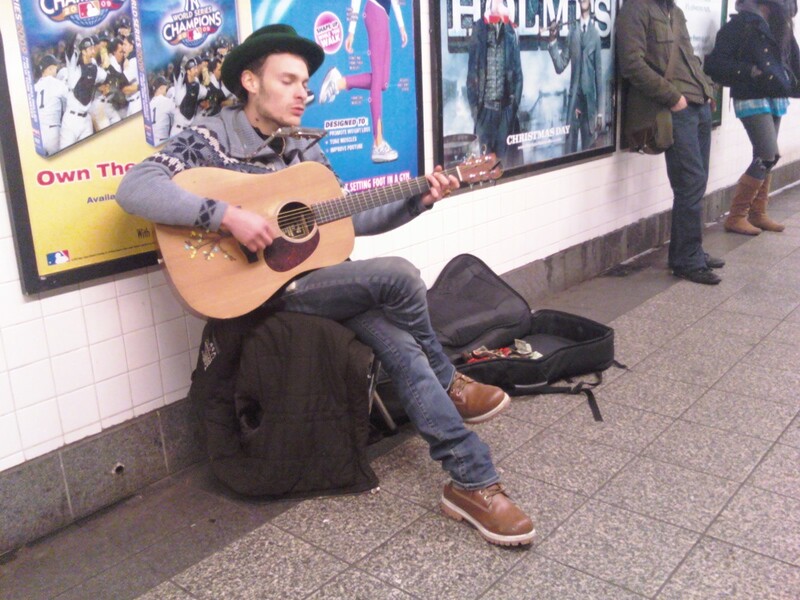 I was surprised that the other people waiting for the train did not walk away to ignore the subway musician. Rather, they collected nearby the music in appreciation.